As an MMF Tutor you will be given a login and a password to a secure area of Paritor. Follow the simple instructions there to organise getting paid. If you have any problems you can ring 020 8640 5446 and ask to speak to Kathy. When you check your register online you will see the code against the pupil name. Make sure you check this carefully, as this is the time you will be paid for. We follow London Borough of Merton term dates. We teach 10-week terms with a half term break. Due to the short length of some terms lessons may be adjusted to ensure 30 lessons take place in an academic year. Do check our calendar. Each pupil should be given a practice diary in which you can write notes. We know that many parents value this feedback. You will be expected to write a short report on each pupil towards the end of the summer term. If you are contacted by a parent and are unsure how to respond please call us for advice. If you are in any doubt please refer parents to the MMF office. You will be expected to wear your ID badge and MMF lanyard at all times in school and the music centre. If you are in school then check with the school office. If the child is absent without prior arrangement you will not automatically be expected to make up the time. It is worth talking to the school office and getting a list of their term dates including inset days, school trips and occasional closures. School: If, for some reason, you can’t make the lesson then please inform the school and contact the parent, giving as much notice as possible. Music Centre: You will need to contact the parent giving as much notice as possible. We run a “make up” session at the end of the ten-week term to allow tutors the opportunity to make up any lessons that may have been missed. How do I enter pupils for an exam? Tutors are responsible for entering their own pupils for exams. They can be very motivating for some pupils so we encourage our tutors to consider using them. If you need any guidance or advice then please contact the MMF office. 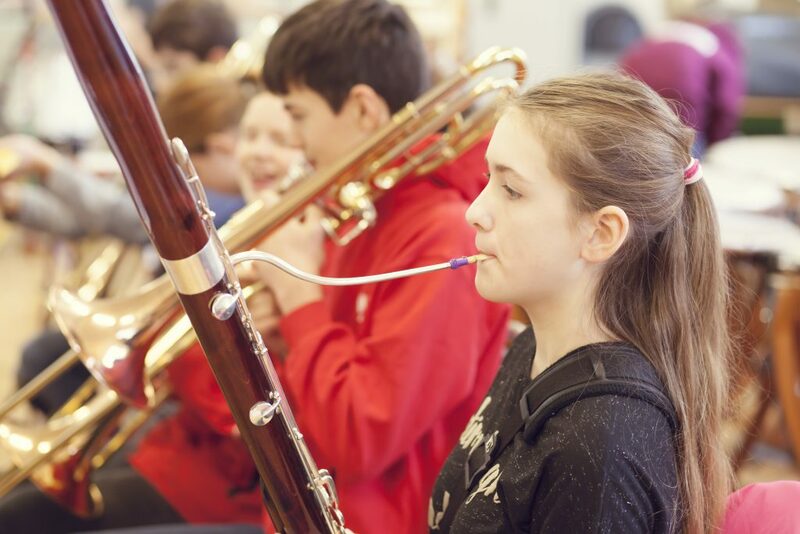 We aim to host ABRSM exams twice a year in December and May at Harris Academy Morden.